Shop our Garage Sale EVERY Wednesday from 9:00 am to 3:00 pm. 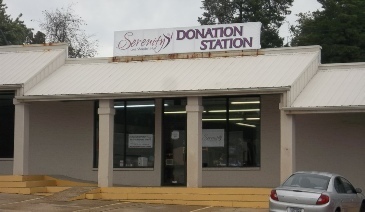 The Mountain Home Donation Station takes in donations from the community and distributes them to Serenity clients and The Purple Door. The Donation Station accepts donations Mondays, Tuesdays, Thursdays, and Fridays at the rear door from 9 a.m. To 3 p.m. If you need assistance moving your items, please call the office, and we would be happy to assist you.